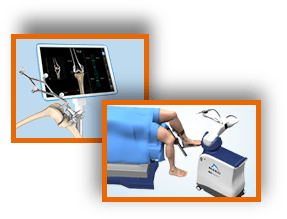 Robotic-assisted knee surgery areminimally invasive procedures where your surgeon is assisted by a robotic system to perform the surgery. The robotic system consists of a surgeon's console, robotic arms, a high-performance vision system and special surgical instruments. A computed tomography (CT) scan is taken before the surgery to create a 3D model of the affected hip or knee joint. 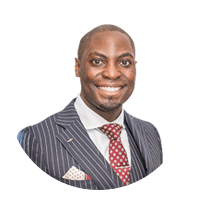 This is interpreted by the system, which accurately guides your surgeon.Unlike a traditional surgery, this procedure is performed through small incisions. The 3D camera provides your surgeon with a magnified view of the operating area. Your surgeon sits on a console and controls the movement of the robotic arms holding the special surgical instruments. The movements of your surgeon's hands are translated, by the robotic system, into precise movements of the miniaturized instrument that are held by the robotic arms. The enhanced vision and superior control of the micro-instruments improves the precision of the surgery. This accuracy helpsrepair the damaged joint and optimally position any prosthetic implant for a more natural feeling joint after surgery, while ensuring minimal injury to neighboring tissues. Being a minimally invasive procedure, it facilitates less post-operative pain, shorter hospital stays, rapid recovery and faster return to daily activities when compared to traditional joint surgeries.